Still following along in week three with Carrie for Create28. Today it's all about jackets and vests. Next to sweaters, vests are my favorite clothing item. They keep you warm and cozy in the winter, and are a perfect transition piece during fall and spring. I tend to prefer something not too puffy, since I already have plenty of my own padding up top to work with! Eddie Bauer is my favorite place to buy down vests, and most of their outerwear is on sale right now. I have a large selection of lightweight, blazer type jackets that are also great transition pieces. I've had my military jacket for so long, I can't remember where it came from. I tried this one on at Old Navy last weekend and really liked the fabric and the fit. The drawstrings at the waist and hem gave it a nice touch. 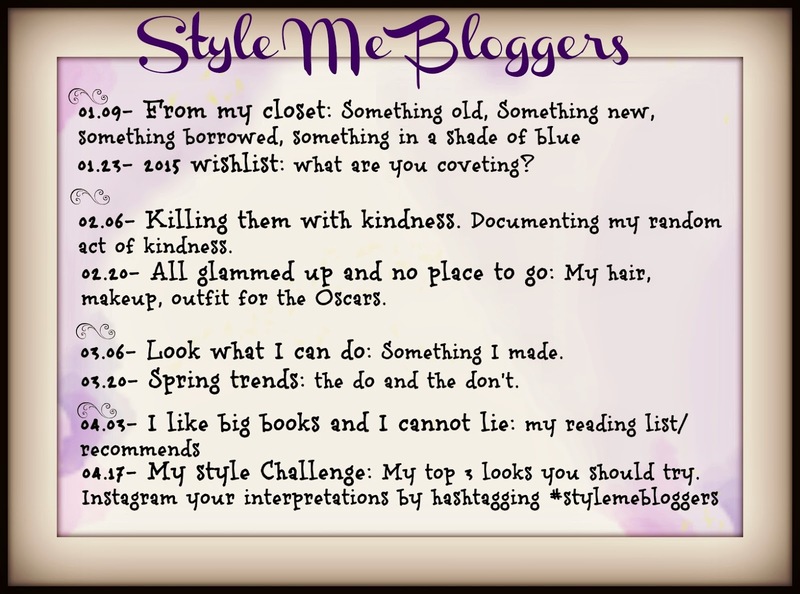 Be sure to come back on Friday when the Style Me Bloggers will be linking up and sharing our hair, makeup and outfit picks for the Oscars. I've actually seen two nominated movies this year - American Sniper (sad, but well done) and The Grand Budapest Hotel (excellent) - so maybe I'll actually watch the show instead of the red carpet! The only film I have seen is the Grand Budapest Hotel. It was so good! I love your pink quilted vest! Thanks Jill. I loved that movie too. I really like both outfits and love these as layering pieces too. If you get a chance to watch Boyhood I thought it was very good. I also watched Grand Budapest Hotel and American Sniper and thought they were good too. You look great in vests. I always like them better on other people than myself. Thanks for the suggestion on Boyhood. Honestly, you look great in everything! you and your long legs. Sigh. All pants look great on you. Ha ha - you're very kind :)! Liking both these looks, friend. 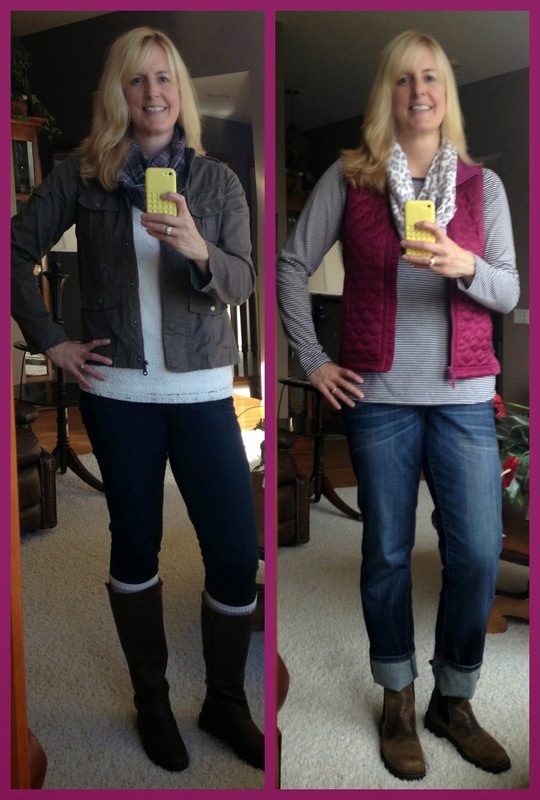 The vest is my favorite because the pop of color is really good on you + the jeans are perfect for the look. Hope you're having a fantastic week. Thanks Carrie. I'm enjoying Create28! These are some really great vests! I haven't pulled them off yet. Although we have a really cute one for my son! He looks like Han Solo in it. I need to see a picture of mini Han Solo! I NEED to remember to do that post tonight LOL! Can't wait to see everyone's pics! It should be a fun one! I don't have enough vests in my life! You look so great! You look fantastic in your best! I only saw grand Budapest Hotel, among all the nominations. I have lots to see now! Thanks for sharing with Visible Monday, xo.